By posting this recipe I am entering a recipe contest sponsored by California Ripe Olives and am eligible to win prizes associated with the contest. I was not compensated for my time. Football season is upon us! Here’s a game day snack that makes football worth watching! Have 4-6 of them and make it a meal that works for breakfast, lunch, or dinner. Bite sized foods are just the best, and these are nutritionally balanced so you can feel good about munching on them. 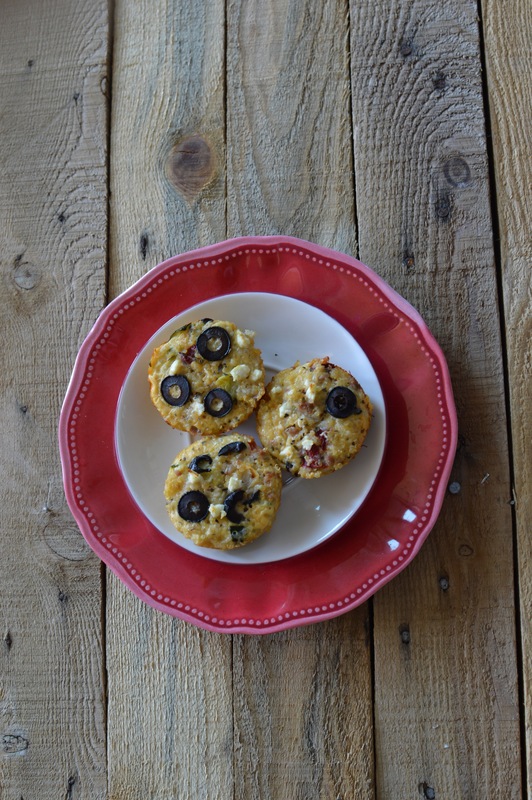 These mini pizza bites get a flavor boost from California black ripe olives, which contain monounsaturated fat, vitamin E (0.25 mg per serving), iron (.49 mg per serving), vitamin A (60 IU per serving), and fiber (0.5 grams per serving). 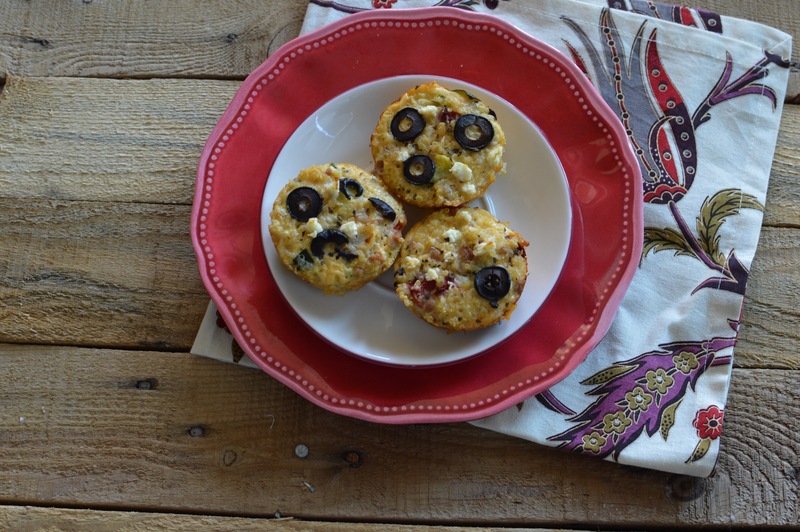 If you have a can of these in your pantry, think beyond the typical Greek salad and try out these pizza bites! 1. Begin by rinsing and draining the quinoa well in a mesh strainer. Combine the rinsed quinoa and 1 cup of water in a small saucepan. Bring to a boil, then reduce the heat to a simmer and cover. Cook for 15 minutes and remove from heat. 2. Heat olive oil over medium heat in a 10″ skillet, add the diced onions and zucchini and cook, stirring occasionally, for 5 minutes. Stir in diced black olives, roasted red pepper, cooked ground turkey, basil, oregano, and garlic salt. Set aside. 3. Preheat the oven to 350 degrees. Fluff the quinoa with a fork and transfer to a mixing bowl. Stir in egg, egg whites, mozzarella cheese, and cooked vegetable/ turkey mixture. 4. Scoop the mix into a well greased muffin tin (12 cups) or mini muffin tin (24 cups). Sprinkle each with a bit of feta cheese and bake. The regular muffin tins will require 25-30 minutes and the mini muffins will require 15-20 minutes. 5. Remove carefully from the tins using a spoon and serve warm with pizza sauce. I hope that you’ll enjoy these Mediterranean inspired supreme pizza bites this football season! They reheat easily in the microwave and store well in the fridge or freezer.